Figuring out when to plant each vegetable crop can be daunting to new gardeners. Which do you start indoors and which should you sow directly in the garden? Which crops tolerate cool weather and which should be planted after all danger of frost is past? The best way to get started is to create a planting calendar, and the first thing you need to know is your average last spring frost date. That's because some crops thrive in cool weather and tolerate a light frost and others need warmer temperatures. The easiest way to determine your last frost date is to ask a gardening neighbor. Because it's based on averages, you may get a hard frost days or even weeks later, but it gives you a general idea and a place to mark in your calendar. Always be prepared to protect tender plants with old sheets or row covers for a few weeks after this date has passed. Short-season cool-weather plants: Fast-maturing vegetables that prefer cool temperatures are usually best sown directly into the garden, rather than started indoors. They germinate in cool soil, grow quickly, and are ready to harvest by early summer. Examples include beets, lettuce, mesclun, radishes, spinach and peas. Because they can tolerate a light frost, they can be sown outdoors in the garden 3 to 4 weeks before the last frost date. Long-season cool-weather plants: Some cool-season crops do better when set in the garden as transplants. Broccoli, cauliflower, and cabbage suffer in the heat of summer, so starting seeds indoors in early spring and then setting out the transplants a few weeks before the last spring frost gives them time to mature before hot weather arrives. Short-season warm-weather plants: Plants that like warm weather and mature quickly are also best sown directly into the garden. Beans and corn are good examples. These plants germinate and grow quickly and don't like having their roots disturbed by transplanting. Wait until after the last frost date, and make sure the soil has warmed and dried out from spring rains before planting the seeds. Long-season warm-weather plants: Several popular garden crops, including tomatoes, eggplants and peppers, require a long, frost-free growing season. If you plant tomatoes from seed after the last spring frost, you'll be lucky to get a tomato or two before the first fall frost. That's why these crops are best started indoors from seed and set in the garden as transplants. Cucumbers, melons, squash and pumpkins can go either way; you can direct sow or start them indoors. Planting times can be a little confusing at first, but a calendar simplifies things. For example, you should start broccoli seeds indoors about six weeks before transplanting. And you can transplant them into the garden two weeks before the last frost date. Let's say you marked April 15 in your calendar as the average last spring frost date. Count back two weeks to April 1 and write "transplant broccoli" on the calendar. Now counting back six weeks brings you to February 18; and mark that as the date to sow your broccoli seed indoors. 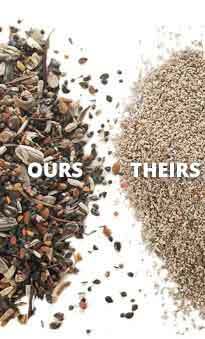 Do the same for each type of seed. You should start pepper seeds about eight weeks before transplanting time. 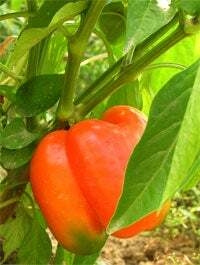 So make a note on April 15: "transplant peppers" and count back eight weeks to February 18 as the day to start pepper seeds indoors. Don't be tempted to try to get a jump on the season by planting seeds earlier. Seeds planted outdoors too early are likely to either rot or the seedlings will be damaged by cold. Seeds planted indoors too early end up as gangly, pot-bound plants that won't transplant well. Be sure to "harden off' indoor-grown seedlings to get them used to outdoor conditions. Set them in light shade for an hour or two the first day and gradually expose them to more sun over the course of a week or 10 days. If you skip this step you're likely to end up with sunburned plants that will grow poorly, if at all. Keep your planting calendars so you can compare them year to year and adjust the planting dates as you see fit, based on your observations in the garden.